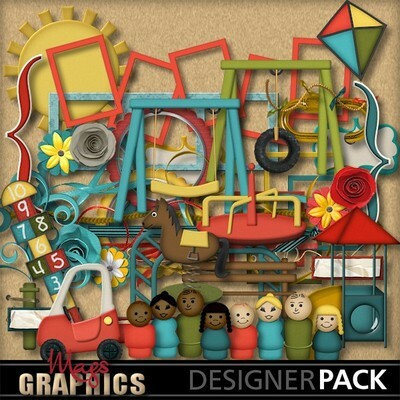 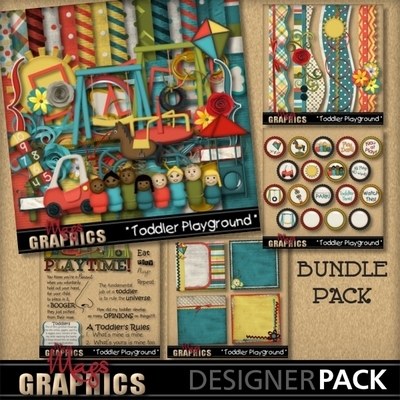 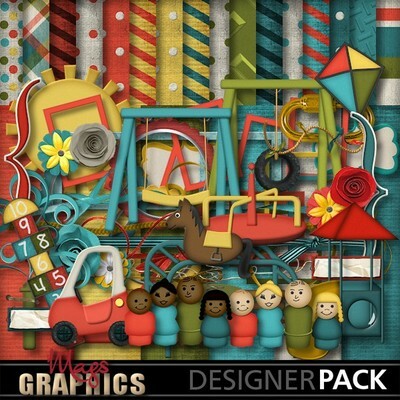 Get all of the kit pieces and add-on packs to the TODDLER PLAYGROUND Collection in one value-priced BUNDLE PACK! 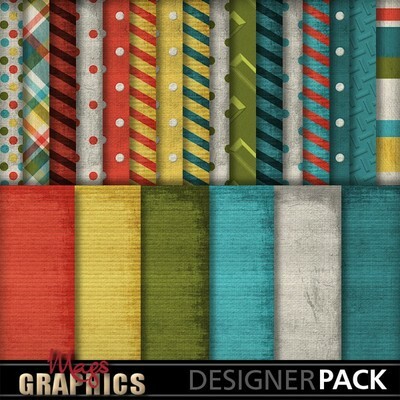 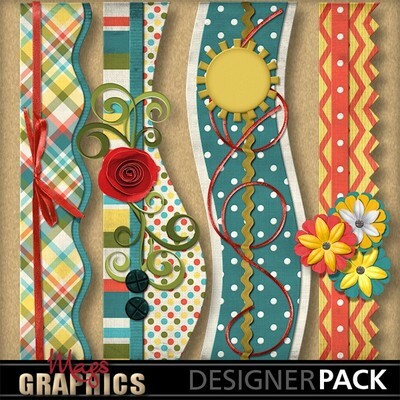 This Bundle includes the Combo Kit, Borders, Flair Pack, Pre-Decorated Paper Stackers, and Word Art. 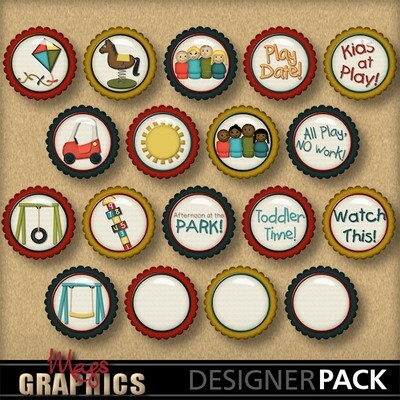 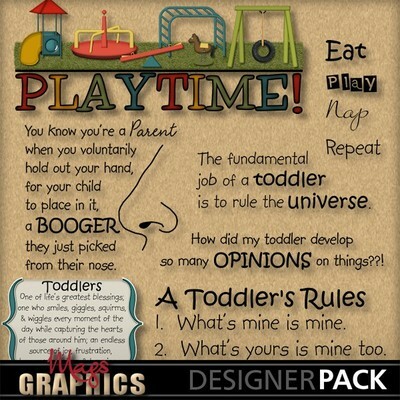 Album Templates are available separately in the store.